The Tiwal 3 is a cheeky sailboat! Transported in two 62 lbs bags, it’s easily movable and assembles in 20 minutes! 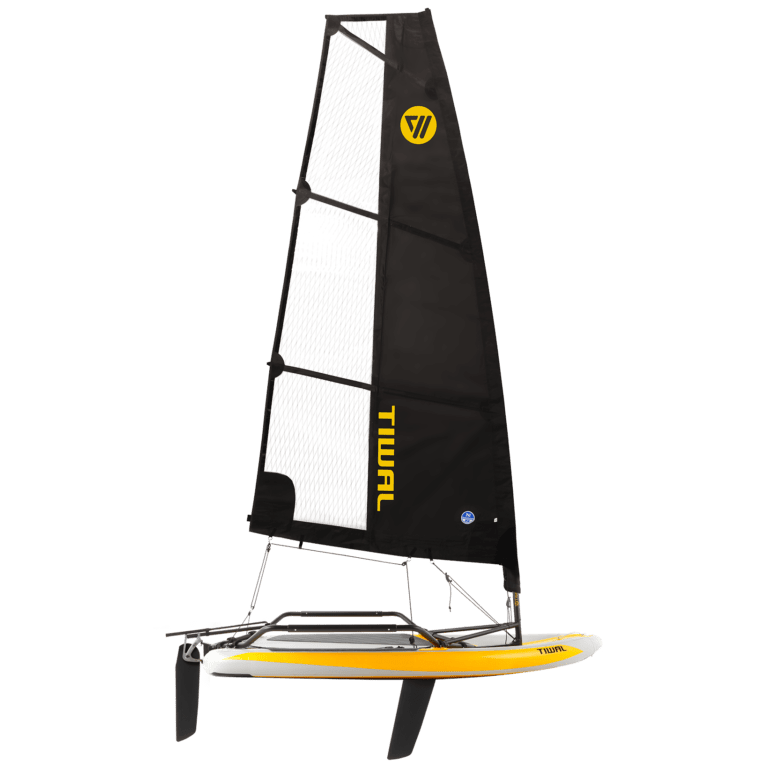 Equiped like great ones, this 10′ 6″ sailing dinghy is performing, comfy, and secure. 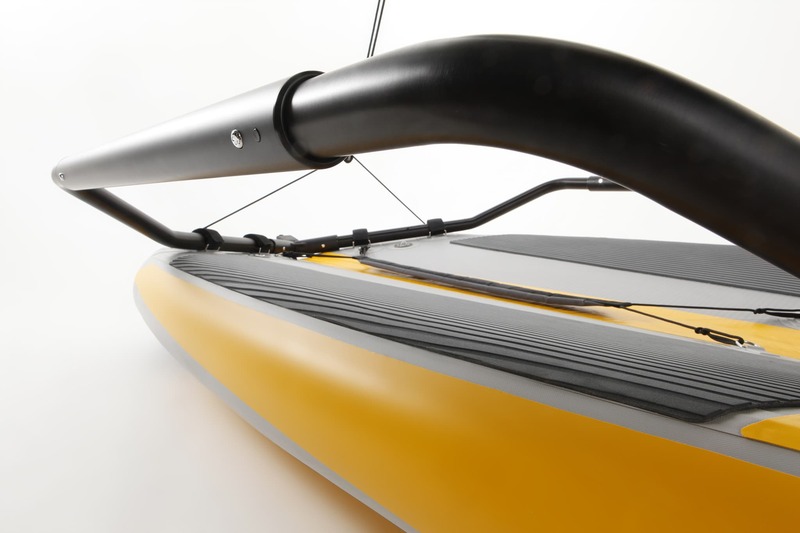 It suits both adults and kids, allows single or double handed sailing, wherever you want! 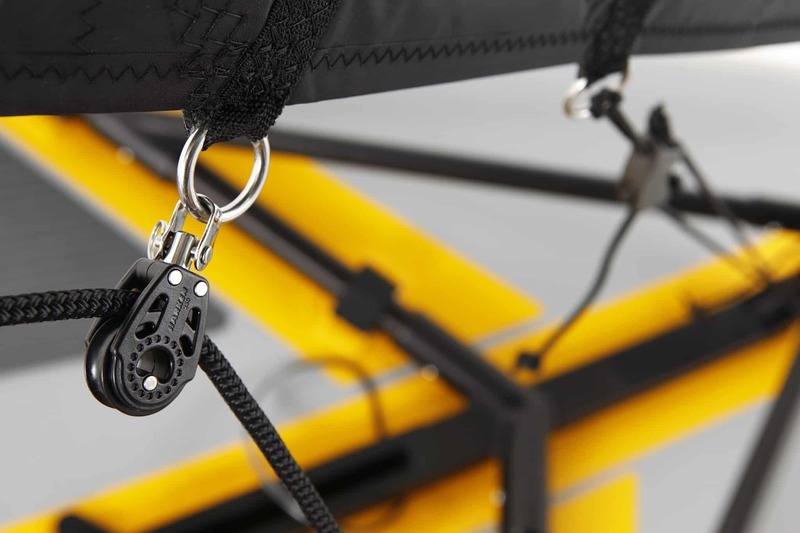 With its 75 ft² sail, it’s great for most sailing situations from 8 knots, even less for lightest sailors. 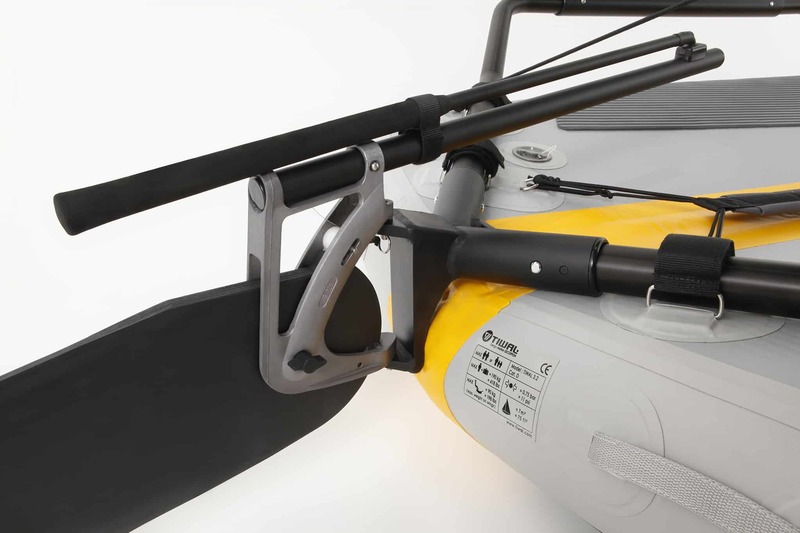 Since it’s high pressure inflated, the Tiwal 3’s hull is almost as stiff as a classic epoxy rigid one, while offering more confort and practicalness. 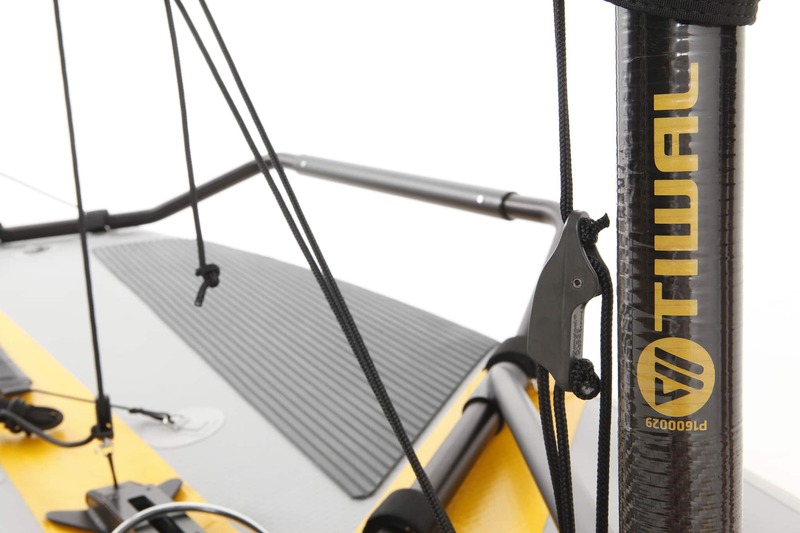 Thanks to this stiffness and an advanced V-shape profile, it behaves very well in the swell to offer performance. 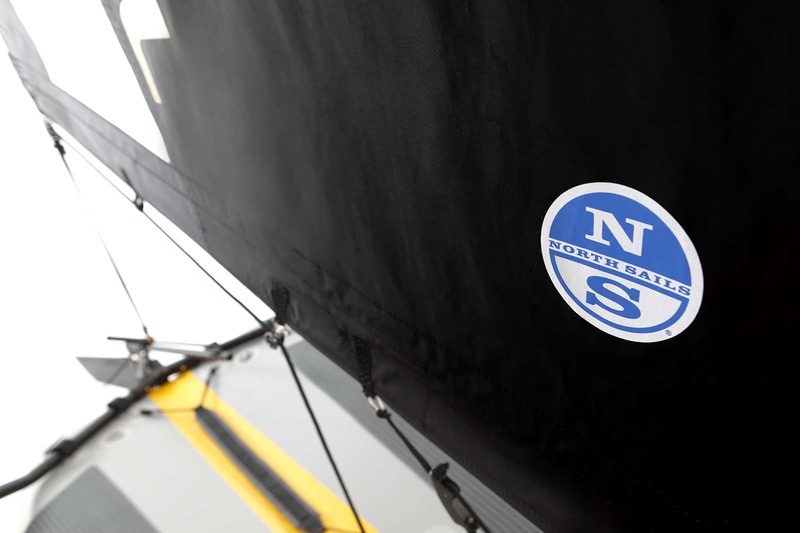 The Tiwal 3 sails are made by North Sails, a leading sailmaking company. Its sails have a square top shape, offering more power for the same mast height. 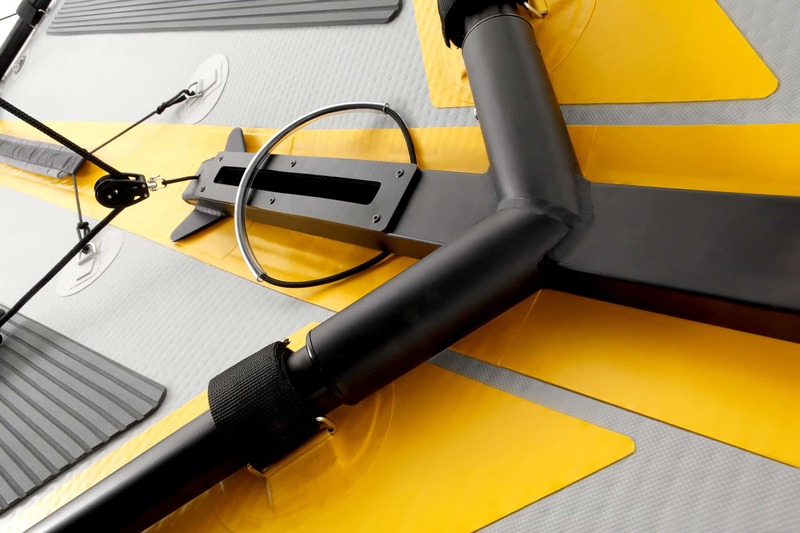 The 75 ft² suits most sailing conditions. 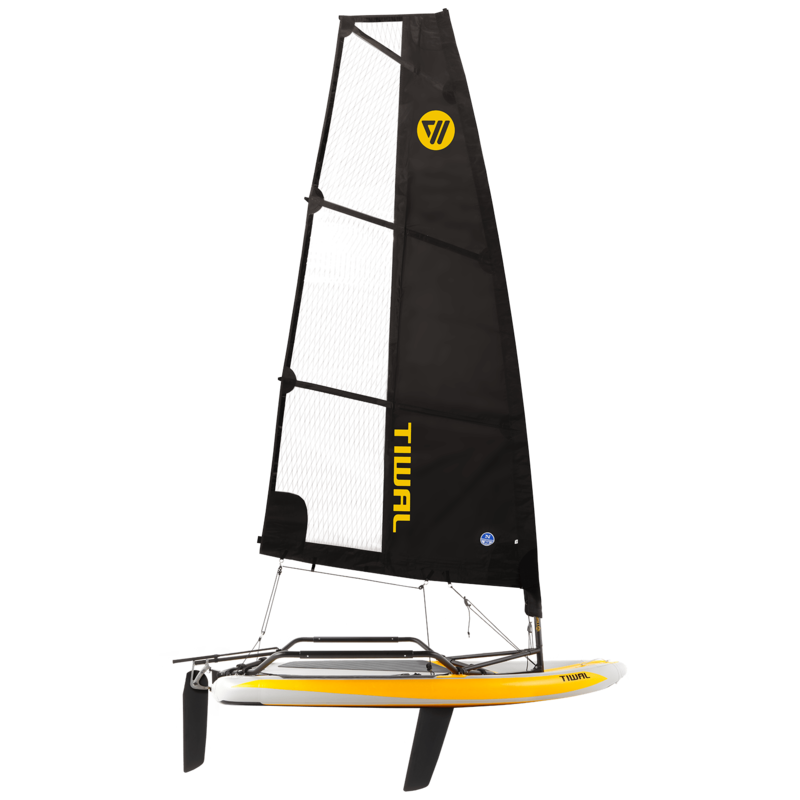 It allows to sail up to 15 knots, and double-handed in stronger conditions. Out of State sale. Client is responsible for remitting any use tax due on this purchase to the appropriate state tax agency.